I love New Orleans, and if you’ve been there, you do too. (If you’ve never been, get yourself down there!) New Orleans is the birthplace and repository of so much important music and, more importantly, so much music is alive and swaggering there. It’s Jazz, it’s R&B, it’s Cajun and Zydeco, it’s Funk, it’s Mardi Gras Indians, it’s Rock & Roll, it’s brass bands, it’s Bounce and Hip-Hop, and we could go on. Let’s just say it’s all that and a bag of Zapp’s potato chips! It’s our past and present, but how do we keep it going for our future? We add Musician Lover to our identity as Music Lover. We support the music and culture by supporting the health and well-being of the people who create it. Amoeba Music has a long history with the New Orleans Musicians’ Assistance Foundation (NOMAF) and the clinic they support, New Orleans Musician’s Clinic (NOMC). Their mission is to save New Orleans Music and one of the ways they do that is “preventing death by lifestyle.” If you’ve seen an episode of the David Simon HBO drama Treme, then you saw their work depicted. We are a business run by music lovers that caters to music lovers and, let’s be real, we gotta be Musician Lovers. As 2018 comes to a close, it's a good time to look back at what was hot at Amoeba Hollywood this year. Our top sellers are a diverse mix, as always, with rock, hip-hop, metal, soul, electronic, and soundtracks all showing up on the list. Take a look at the 50 new releases that flew off our shelves in 2018 -- some of these probably won't be a surprise while still others may have slipped past your radar. Read on to see the full list of Amoeba Hollywood's 50 Best-Selling Albums of 2018. 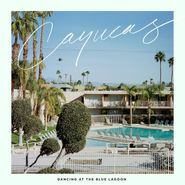 Summer doesn’t officially start until June 21, but there are already many albums announced, including a few that are sure to be some of the biggest of the year. 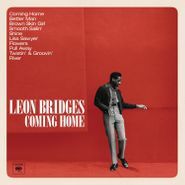 Young soul singer Leon Bridges’s powerful voice and guitar licks have earned him comparisons to Sam Cooke and a viral hit with the sweetly swaying, vintage-R&B-style “Coming Home.” It’s one of those times when it looks like the hype is on point; Coming Home announces the arrival of a huge new talent.